Thicker, Quality Cotton - not real thin fabric. 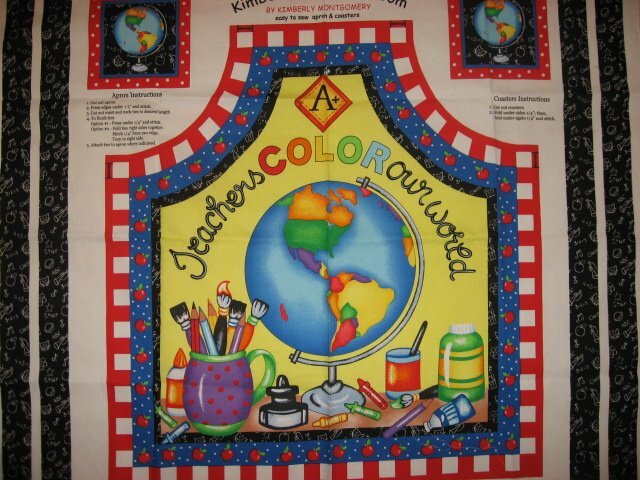 Teacher apron and coasters with pictures of the world to make. Depicts the world, apples, art paint brushes. 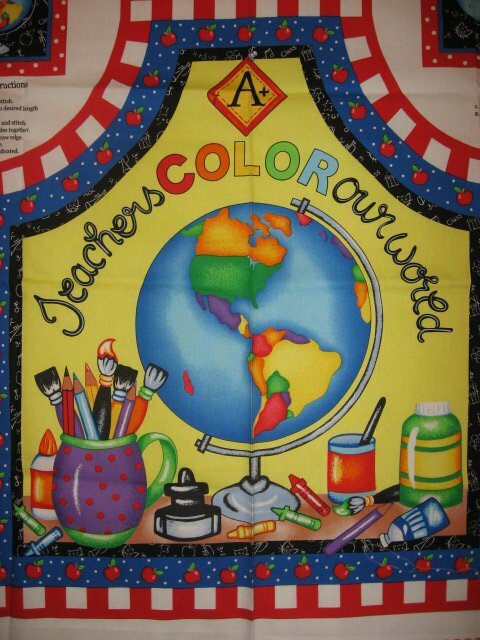 and the words: "Teachers color our world.". Great gift to make for your child's favorite teacher.